The Mad Duck Driving An Electric Locomotive At Full Speed And Loving It ! The Mad Duck Adventures !!! Episode 15 555 !!! 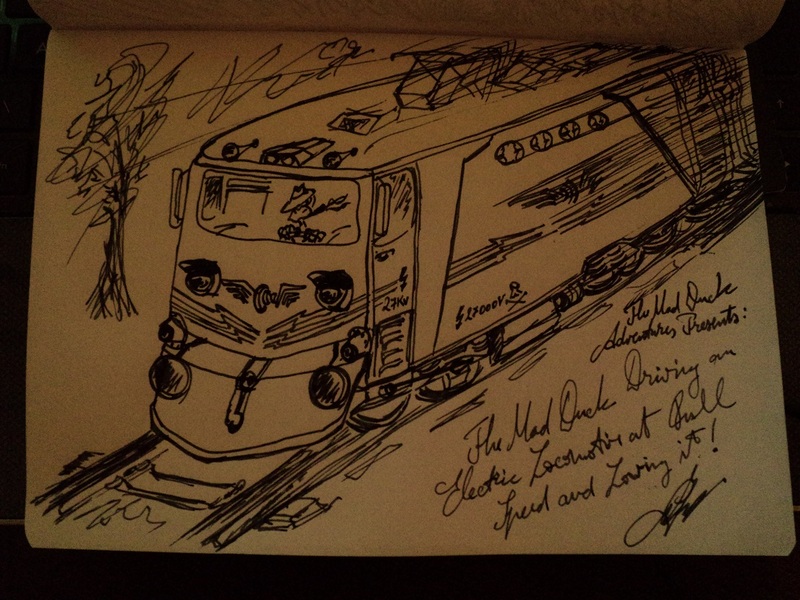 Photo Information for The Mad Duck Driving An Electric Locomotive At Full Speed And Loving It ! I know I'm gonna come off as arrogant but I KNOW....I love it so much myself !!!! I'm not sorry !!! !!! I think there's a cartoonist in you somewhere. Mad Duck Adventures presents: 'Full Speed Ahead' (or something like that). There's a lot of things in me everywhere ! Get out of the quacking way everybody. I'm a Mad Duck driving a Electric Locomotive. I'll show you all how to quackin drive? I'm mad duck and I've gone a little quackin crazy. I'll drive so fast the Electric Locomotive will go of the rails. How about a Mad duck song? Mad Duck is on the railway to hell! On the railway to hell! Look out everyone here I come. Full speed and off the rails here I come. I'm on the railway to hell! Mad Duck gone a Quackin crazy. Love mad duck, and brilliant details with the Electric Locomotive.